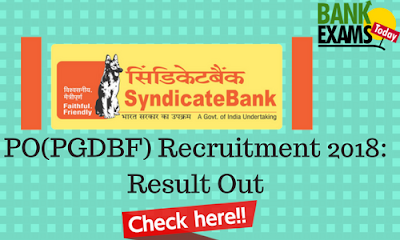 Syndicate Bank has recently released a Result for Probationary Officers PGDBF post. Candidates can check the result from here. Click Here to Download the Names of the candidates shortlisted for Interview and/ or GD. Click Here to see the Result of unsuccessful candidates.